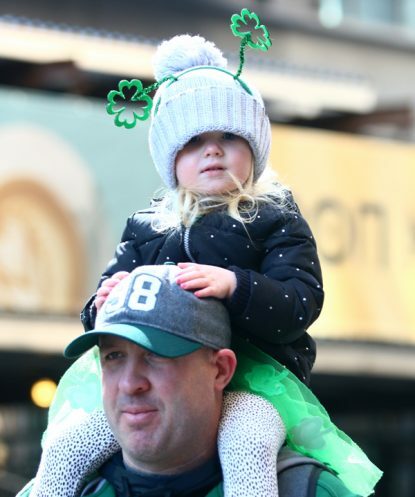 St. Patrick’s Day came early in Philadelphia this year, at least as far as the St. Patrick Day Parade was concerned. 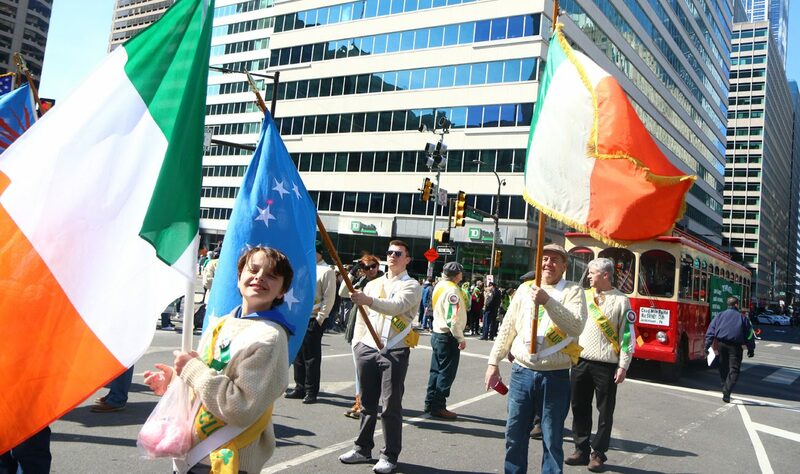 Following tradition from its founding in the mid-1950s, the parade was held March 11 on the Sunday before St. Patrick’s Day, March 17. 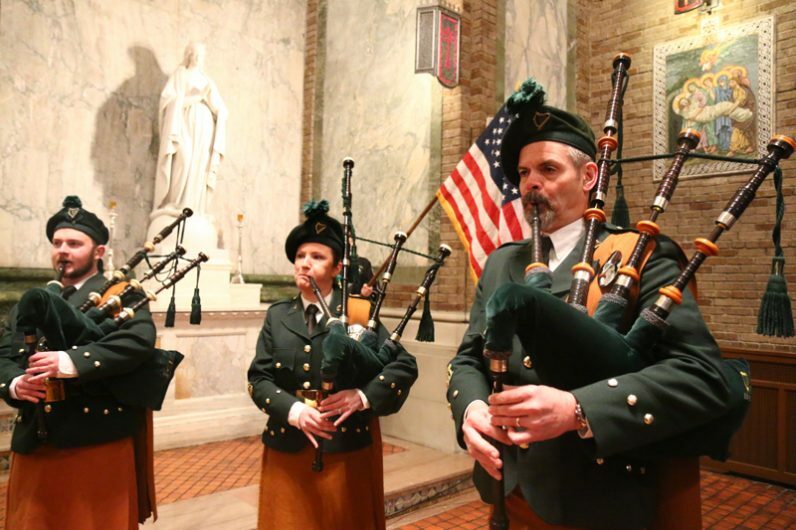 It was preceded by a Mass celebrated by Archbishop Charles Chaput at venerable St. Patrick’s Church near Rittenhouse Square, with Bishop Donal McKeown of Derry, Ireland, as a concelebrant along with Father Kevin Gallagher, the chaplain of the St. Patrick’s Day Observance Committee. 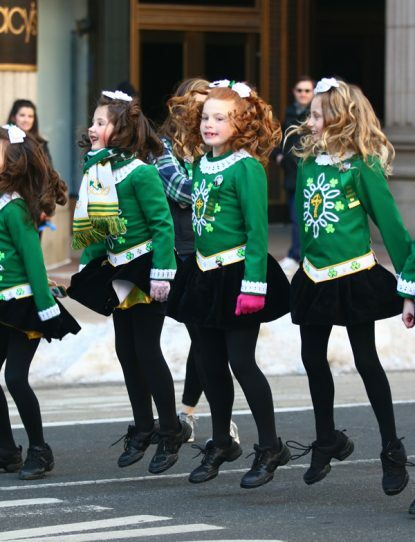 The observance of St. Patrick’s Day in Philadelphia traces back to the foundation in 1771 of the Friendly Sons of St. Patrick, a nondenominational group that was a rarity for that era. It was a union of Protestant and Catholic Irish in celebration of their common Gaelic heritage, usually with a gala banquet. More important, they raised funds to assist poor Irish immigrants as well as support for those still living in their impoverished and oppressed homeland. Since then there have been many celebrations, including informal parades leading up to the city-sanctioned parade of today. The Friendly Sons of St. Patrick still exist and as a matter of fact had a contingent of 50 marching among the thousands in this year’s parade. In perfect synchrony with that theme was this year’s choice of Grand Marshal Sister Mary Scullion, R.S.M., Philadelphia’s best-known advocate for the poor and the homeless. Sister Mary could take pleasure that the Mayo Association and the Derry Society both had groups marching in the parade, as did the Sisters of Mercy and Little Flower High School from which she entered the Mercy Sisters right after graduation. “Little Flower was the best high school in the city and maybe in the country,” Sister Mary declared. Bill McCusker, a former president of Cardinal O’Hara High School, for years came down the street with the school’s marching band. Now he is content to sit in the stands. One striking theme among many of those reflecting on the St. Patrick’s Day celebration is that it is not so much a glorification of all things Irish as it is a celebration of the immigrants who came to America, and a remembrance of the sacrifices they made to give their children a better life. For example, Jason Fogg has been attending for 28 years since he was 10. Now he comes with his wife, Kim, and three young children, Marie, Jason and Brian. But of course, many, many spectators were there to enjoy the music and support their friends and relatives marching down Market Street. There were the kilted Emerald Society Band made up of Philadelphia police officers leading the grand parade. A total of 194 units and three hours later, the Guinness truck brought up the rear. In between there were more Irish dancing schools than one knew existed. There were high school groups, former high school groups, college groups, Irish societies and bands galore. And what’s a parade without awards? A total of 17 were presented — for the winners see the PhiladelphiaStPatsParade.com website. Are there pictures posted from the Mass and parade?